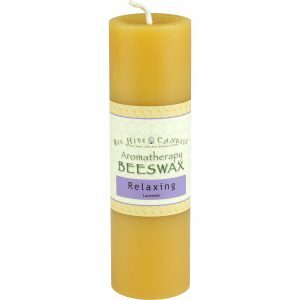 Our aromatherapy beeswax candles are crafted using ultra clean beeswax which is then infused with an expertly formulated blend of pure essential oils. No fragrances, artificial scents, or fillers added. 100% pure beeswax. 100% pure essential oils. 100% cotton wick. Our aromatherapy beeswax candles have been designed specifically for you. Through testing and customer input we believe we've come up with the perfect balance of essential oils to beeswax so they smell "just right". With its soft floral scent, lavender has been long known for its relaxing qualities and calming, healing benefits. Try this the next time you need to unwind. Our most popular scent! Essential oil of Lavender. The fragrance of lively peppermint, bright lemon, and refreshing rosemary blend harmoniously with purifying eucalyptus for an energizing scent. Essential oils include: Peppermint, Rosemary, Lemon, Eucalyptus. Sandalwood combines perfectly with the crisp pepper and clean citrus aromas to promote vigor and mental strength. Perfect to get you through the day. Essential oils include: Sandalwood, Black Pepper, Lemon. Let the alluring aromas of our specially blended sensuality aromatherapy candle help you create an intimate evening with the one you love. 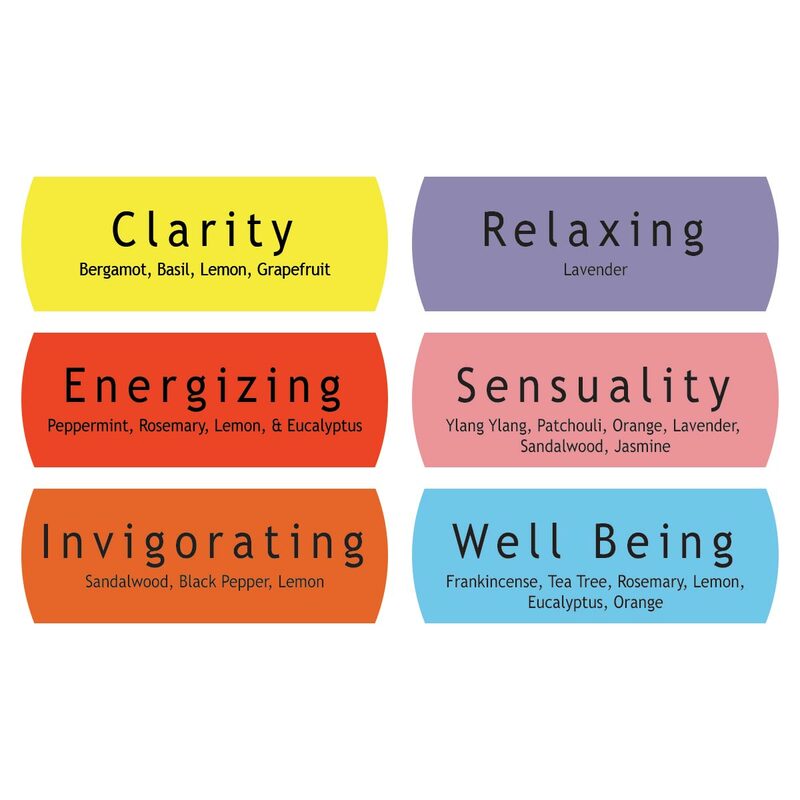 Essential oils include: Ylang Ylang, Patchouli, Orange Sweet, Lavender, Sandalwood, Jasmine. Find a sense of balance and tranquility with this warm, woody yet subtly sweet scent. Great for adding a touch of scent while practicing Yoga. Essential oils include: Frankincense, Tea Tree, Lemon, Rosemary, Eucalyptus, Orange Sweet. 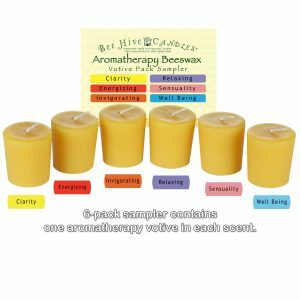 Concerned about sensitivities with aromatherapy candles? Our 100% pure beeswax is hypo-allergenic. However, in some cases, people may be sensitive to essential oils. Generally people experience sensitivities when burning paraffin candles made with fragrances and scents, not high quality essential oils and beeswax. 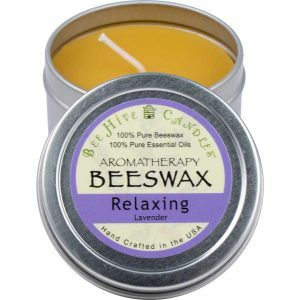 If you are concerned about sensitivities we recommend using our all natural beeswax candles (no added essential oils, no added color dyes). All of our essential oils are 100% pure essential oils gathered only via steam distillation and cold press methods. No carrier oils are used or mixed with the essential oils. We purchase our essential oils only from well established manufactures that guarantee their essential oil quality and purity. Our aromatherapy products contain only 100% essential oils. Once you have been introduced to pure essential oils nothing else will do. 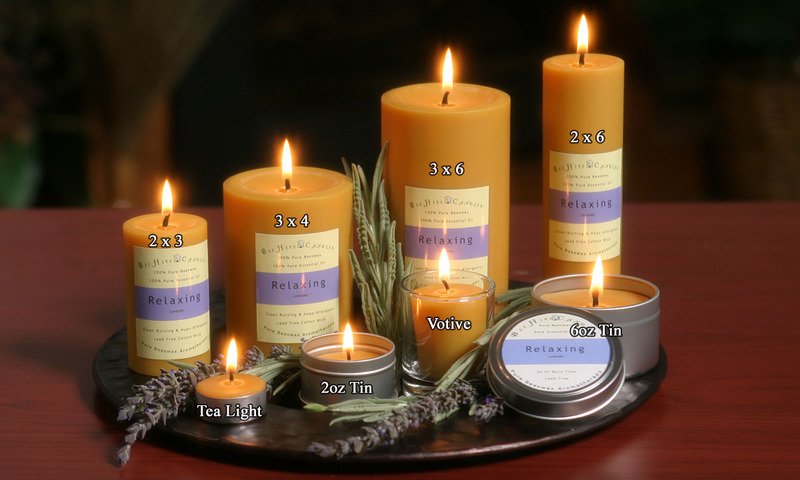 We choose to keep our aromatherapy candles naturally golden colored instead of adding color dyes. 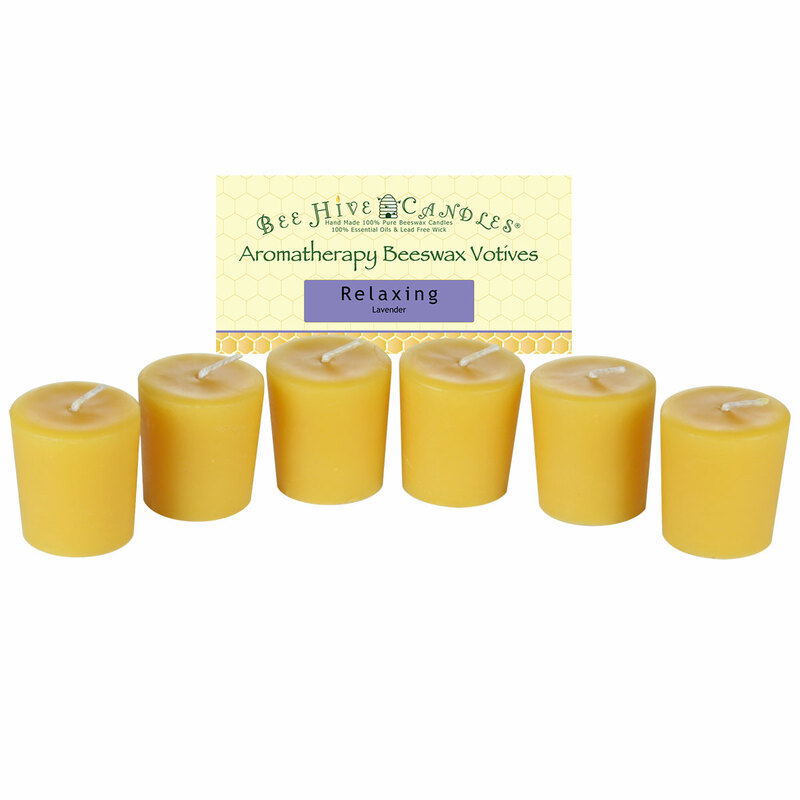 We hand pour each of our beeswax votive candles. The dimensions listed are an approximation and will vary slightly for each candle. Please consider each candle a work of art. Through extensive testing and client input we believe we've come up with that "just right" scent strength. We are going for a subtle pleasant aroma not an overbearing smell. A candle's scent throw varies based on personal sensitivities and environment. Aromatherapy is the use of therapeutic oils extracted from natural plant matter in order to encourage good health and psychological and physical well-being. Burn votives for at least 1 hour per session. Must be burned in a votive holder (not included). See Beeswax Votive Burning Tips for more tips. For me, I would like a stronger scent. These are wonderful candles that burn beautifully and arrive packed with care. Perhaps you could experiment with an option to have a more oils added? I’ve been a long time customer and don’t plan on searching elsewhere! We are repeat customers for these votives in three scents (Invigorating, Clarity, Energizing) for several years. The scents are nice, just a step above “subtle.” The candles themselves are well-made and long-lasting. Order turnaround is very fast, packing excellent (and I am *very* hard to please in that regard!). Easy to recommend highly, both the product and the seller. As with all of the products I have purchased from you, another winner. Scent is subtle and they burn evenly and for longer than most regular paraffin candles. I am very pleased and will continue to order. After years of burning popular scented jar candles, my eyes began to burn and my breathing was affected from the paraffin and scenting chemicals so I decided to try natural beeswax candles.These votive candles burn evenly and the scent of the quality essential oils do not burn my eyes or affect my breathing which means that the quality of the air in my house is healthier! I love burning all of your aromatherapy blends and I also enjoy the subtle honey scent of the natural votive beeswax candles. Thank you for a quality and healthy product.